Ever since finishing the first draft of my YA fantasy novel, HYMNS OF SALT AND TERROR, I have had Author Mentor Match (AMM) on my calendar. After months of pooling over critique partner notes and completing revisions, I finally feel ready to put my baby out in the world. But before I do that, I know that I could still stand to learn and improve with the help of the Author Mentor Match program, which connects unpublished writers with agented authors. If you are an aspiring writer who wants to be traditionally published, I urge you to check out their program! My name is Emily Giangiulio. I am an undergraduate student from Philadelphia working on my degrees in Creative Writing (Fiction) and Anthropology. Writing has always burned brightly in my blood, and the novel that I hope to seek representation for is my sixth manuscript. Granted, the first few novels (written between the ages of eight and twelve) were all about talking dogs and elementary school heists, but I consider each work to be a piece of me, and I would not be where I am now if not for the experience of writing them. At the moment, my life is pretty typical of a college student, except I wake up at four in the morning to write novels and spend my nights tutoring English to non-native speakers. My family is Italian-American, and I have been studying the Italian language throughout college. I even studied abroad in Sicily, and it was my time there that inspired the fantasy setting for my novel. I write young adult speculative fiction, and I am particularly fond of fantasies set in non-Western European settings. HYMNS OF SALT AND TERROR is a YA fantasy novel inspired by fifteenth century Barbary pirates and various Sicilian folklores. If Rachel Hartman’s Seraphina met Starz’s Black Sails in a life-raft on the Mediterranean, I like to think that this book would be the lovechild of that sea-swept union. Without giving away too much, my novel is about Esmerata Spataro, a flutist whose world is forever changed when her fishing village is ransacked and she, her musician friend, Pia, and a number of other captives are kidnapped by pirates. While awaiting her fate in the slave markets of distant Arpoli, Esmerata is forced to serve as the captain’s private musician aboard God’s Plague. She discovers a mysterious connection to the sea that allows her to spin each note into her will and to manipulate the actions of all who take pleasure in her hymns. Her goal: to take the ship and to kill the captain, armed with nothing but her music and the help of a grim surgeon, a fast-talking helmsman, and a lookout whose veins run with more saltwater than blood. In this novel you can expect to encounter: subtle yet gritty magic systems, settings inspired by Sicilian villages and Tunisian coasts, morally gray pirates who wear too many rings and too much eyeliner, non-traditional revenge-filled sirens, and music that quite literally breaks hearts…and bones. Also, a dash of romantic angst with a supernatural selkie-boy. I am a big believer in the power of collaborative writing. As both a writing tutor and a person who has participated in many fiction workshops, I have come to value criticism and feedback in all its forms. I am in love with my novel, but I need someone to push me further. Someone to rip the rug out from under me, so to speak. I have worked with critique partners on this manuscript, but I feel that I need the help of someone who has foresight into the publishing industry. I am a dedicated editor and I am willing to put the work in to improving my novel. If I am selected for Author Mentor Match, I would be so grateful for the opportunity because I know that each mentor truly cares about seeing their mentee do well.  You can find me lurking around this blog, or on twitter @stellularscribe. Thanks for stopping by!